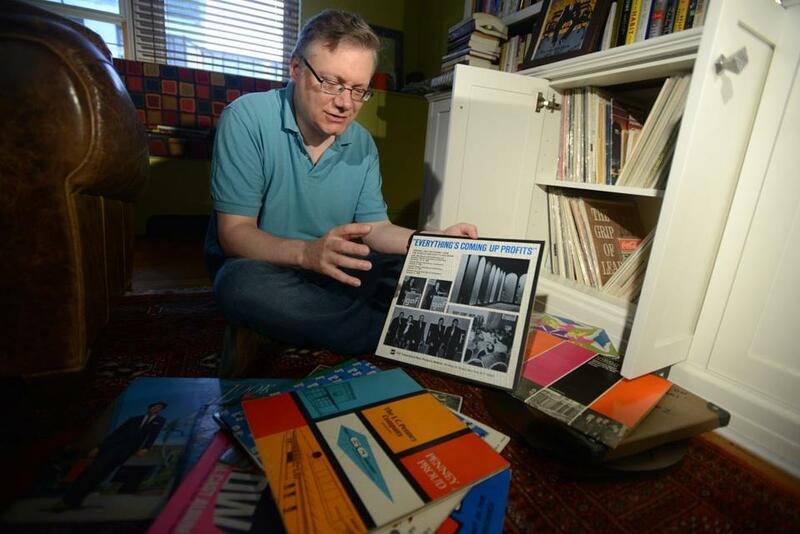 Steve Young, former writer for David Letterman, has become an expert on industrial musicals. NEW YORK — You might expect Steve Young to be at loose ends. After all, it’s only been two months since the job at which Young has spent more than half his life — writing jokes for David Letterman — came to an end. Industrial musicals were original, Broadway-style productions commissioned by corporations and presented to employees, distributors, and industry insiders at conventions and sales meetings. From the 1950s to the 1980s, when they began to wane, hundreds of these live stage shows were presented each year, according to Young. They took place in hotel ballrooms, convention halls, auditoriums, resorts, and traditional showbiz venues like Radio City Music Hall, and the casts could include future big names, such as the 1956 Oldsmobile show that featured a pre-“West Side Story’’ Chita Rivera. This Thursday at 8 p.m. at Cambridge’s Brattle Theatre, Young will present film clips from this quirky genre in “Everything’s Coming Up Profits: The Film Show’’ (which grew out of a 2013 book he coauthored with Sport Murphy, “Everything’s Coming Up Profits: The Golden Age of Industrial Musicals”). Along with clips of shows created for companies like Citgo, Purina, General Electric, Kellogg’s, and Hamm’s beer, Young will show the film version of an irresistibly titled 1969 American Standard musical, “The Bathrooms Are Coming,’’ along with a bit of a documentary on industrial musicals he and a team of filmmakers are making. Lyricists somehow came up with product-centric rhymes like “Slow speed fan, enclosed compressor / Make the customer say ‘Yessir’ ” (from “Up From the Valleys,’’ a 1968 York air conditioner show). The shows combined company propaganda, morale bolstering, and tips for productivity and career success, such as “Team on the Beam,’’ a 1962 Colgate-Palmolive household products division show with the song “Think Big, Mr. Colgate’’: “Think big, Mr. Colgate, think big! Think the biggest oak and not the twig!’’ But the musicals were also about employees’ work lives: Though some shows were revues, others had a narrative through-line that revolved around the challenges faced by those in the audience, be they middle managers or car dealers or plumbing fixture distributors or salespeople. Long before he became an expert on industrial musicals, Young had a well-developed sense of the absurd. Growing up in Pepperell, he honed his comedic sensibility by reading Mad magazine and the humor pieces of Woody Allen, and when he arrived at Harvard, Young joined the staff of the Harvard Lampoon, whose president at the time was Conan O’Brien. “He was a very big early influence,’’ says Young. “He had this X factor. When he walked into the room, there was this electricity: Things were about to get really funny.” When Young married Revere native Samantha Shubert in 1989, the ceremony took place in the Lampoon building. After graduation, Young tended bar in Allston and tried his hand at stand-up and improv before landing a writing position at HBO’s “Not Necessarily the News.’’ Let go after only six weeks, he rebounded with a job writing for The Comedy Channel, the precursor to Comedy Central. Then, in early 1990, Young heard that NBC’s “Late Night With David Letterman’’ was looking for writers. He was 24 when he was hired and would remain with Letterman for the next quarter-century. It probably had to do with the talent of the creative teams and the casts. John Kander and Fred Ebb (“Cabaret,’’ “Chicago”) created an industrial musical. Martin Short performed in a 1974 Chrysler musical, and when Young interviewed Short in May for the documentary, the actor burst into a song from the show. Other stars included Valerie Harper, Hal Linden, Florence Henderson, David Hartman, and Mary Louise Wilson. Composer Cy Coleman wrote a musical for Ford. Before she directed the blockbuster stage version of Mel Brooks’s “The Producers,’’ Susan Stroman choreographed an industrial musical for Miller Beer. Though many of the performers, directors, and songwriters viewed them as career steppingstones and/or a way to pay the rent, they generally gave it their all, out of professional pride and, often, a certain solidarity they felt with the strivers in the audience. “It was ‘OK, I’m going to do a show about lawn mowers, but it’s going to be the best show about lawn mowers I can do,’ ’’ says Young. However, after the 1987 stock market crash, and as tastes in entertainment and approaches to motivation changed, industrial musicals began to die out. By the 1990s, Young says, the genre survived mainly in productions commissioned and presented by car companies and pharmaceutical firms. At: Brattle Theatre, 40 Brattle St., Cambridge, Thursday at 8 p.m.